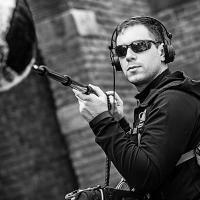 OMB sound recordist for corporate video, documentaries and shorts movies. Thank you all for your input, I have a quite good relationship with my local Sennheiser Service shop and they are in walking distance, so I'm definitelygoing to head there. MobileMike, RadoStefanov: Yes, I troubleshooted, and it's definetly the mic, and I think it's an internal issue, I couldn't recreate the problem on the spot and since either. There is a Matt Price Soundchat with Jeff, which I can only recommend to anyone, because it's highly entertaining and informative. Constantin: Exactly. I'm still learning a lot every day and every job, but I think I know enough about production sound already to write my paper, however I need citeable material to back me up. I'm not looking for instant answers or shortcuts. John: I read this forum daily since I've started in motion picture sound and learned a lot from all the people here. I appreciate all the knowledge gathered here, however public online forums are not the greatest source material in the eyes of academia. David: Thank you, I know about the Quarterly, but haven't dig through the archives yet, but this series looks promising! No experience with those, but here's the 'pinknoise device': http://www.marenius.se/audiodesign/sd633.htm Also a local mixer uses a direct out modded FP33 and he loves it. Gotham says it's 349.99 bucks. Fair I think. So apparently this is a thing. Sadly it is even more prosumer than the F8. Same bag, I keep my NP-1 in the back pocket, what do you have in there? Yeapp, if you don't power it down, its timecode is quite steady.